Looking for fresh apps for your iOS device? 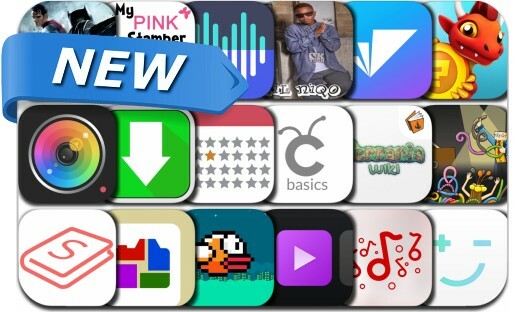 We’ve found 18 great apps that were released over the last couple of days. This new apps alert includes Dragon Land, Digit - Save Money Without Thinking About It, Photo4 Photo Album Scanner, My Pink Stamper, Schoold: College/Career Search, Download Manager Pro, Cricut Basics, Batman v Superman: Who Will Win and many others. I'm so excited to share my new app! Free card making, paper crafting, scrapbooking tutorials & videos! Weekly giveaways! Sign up today and feel inspired! http:mypinkstamper.stampinup.net Facebook: My Pink Stamper Please enjoy many crafty ideas to make in your everyday life!